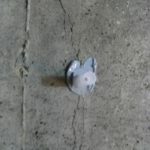 Applied Technologies offers epoxy injection kits to repair concrete basement wall cracks. These kits can be used by both a DIYer or professional looking to expand their business. How to videos are provided. 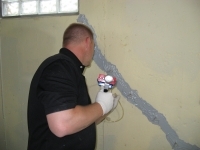 All of the injection materials are packaged using our Foundation Crack Repair Cartridge System. This system ensures proper metering and dispensing of all epoxy concrete repair materials. There is no guessing about how much of the each product to mix prior to use. Also, the cartridges are resealable so you do not waste unused materials.